Galaxy S5 have at least 50% battery left. It is better to charge it to full. It will take about 30 mins or longer (depending on apps on your S5) to finish the updating. How to setup and use smart lock in Galaxy S5 with Android Lollipop update? Smart lock is a new and very useful feature in Android Lollipop 5.0. You can unlock Galaxy S5 with any trusted Bluetooth or NFC devices. You can also unlock the phone based on the trusted locations (e.g., home or office). But after getting the Samsung Galaxy S5 Android Lollipop update, you may find that you cannot find smart lock at all. This is not Samsung’s fault. To get smart lock settings, you need enable the trust agent (smart lock) in Settings—Security—Trust agents —Smart lock (Google). Then you can find the smart lock settings in Settings—Security–-Smart lock as shown below. For step-by-step guide on setting and using smart lock in Android Lollipop devices, please follow this guide. Where is Downtime and Priority mode in Galaxy S5 with Android Lollipop update? You may heard a lot of downtime and priority mode for Android Lollipop. But in Galaxy S5 Lollipop update, Samsung messed up (or customized in Samsung language) these features. In Galaxy S5 Android Lollipop update, downtime is customized as Do not disturb under Settings—Sound and notifications. 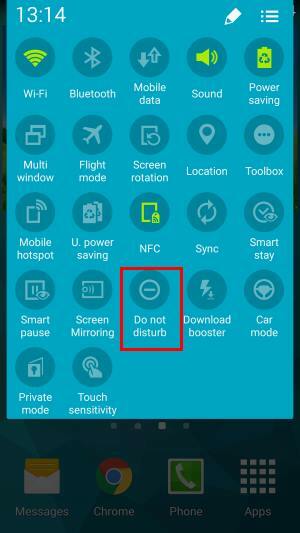 You can also enable/disable Do not disturb in quick settings panel after this Lollipop update. The notification and interruption was further customized by Samsung. The priority mode is buried under Do not disturb. Galaxy S5 still uses the old notification modes: sound, silent (mute) and vibrate. This is consistent with its old behavior, not that of stock Android Lollipop. Should I reset the phone after I get the Galaxy S5 Android Lollipop update? If Galaxy S5 works without issues after this Lollipop update, it is not necessary to do anything. But if you feel Galaxy S5 is slow and less responsive after applying the Galaxy S5 Android Lollipop update, you may first try to clear the cache partition, instead of the factory reset. Clearing cache partition does not change your settings and does not remove your files. So, you should try to clear cache partition before trying factory reset. Please follow this guide on how to clear cache partition on Galaxy S5. Factory reset is always the last option. You should backup your files before factory reset. Where is Android Lollipop multiple users? where is guest user in Galaxy S5? Device sharing is another new Android Lollipop feature for phones (for tablets, we got multiple users support since Jelly Bean 4.3). 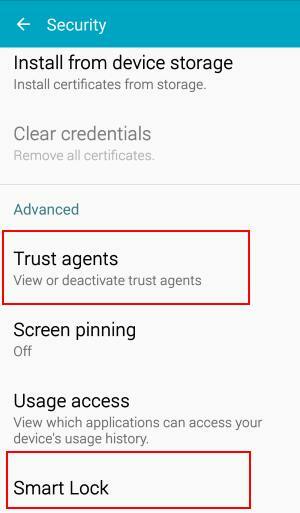 But in Galaxy S5 Android Lollipop update, Samsung removed this feature. So, Galaxy S5 Android Lollipop update simply removed the support for multiple users and guest users. Lacking multiple users and guest user support in Galaxy S5 Android lollipop update has nothing to do with the Android version (5.0) with which Galaxy S5 is running. 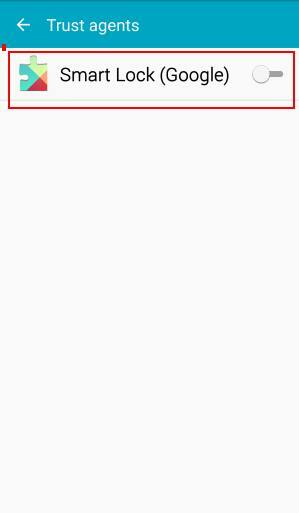 Guest user and muilti users support is available since Android 5.0, not since 5.0.1 as wrongly cited as the reason. If you want to share your Galaxy S5 among a few users, you have to wait for next update. Where can I find and download the official Galaxy S5 Lollipop User Guide in my language? The updated official Galaxy S5 Lollipop User Guide is available in many languages. To better use your Galaxy S5 with Android Lollipop update, it is a good idea to get a free copy (PDF) of the official Galaxy S5 Lollipop User Guide here. All these guide are in PDF format and free. So, you can read online or download a copy and then read offline. Please check this page to find the Galaxy S5 Android Lollipop user guide in your own languages. 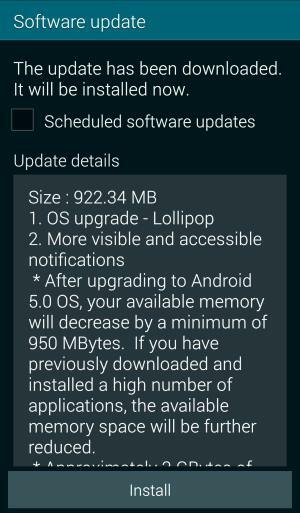 What’s your thought on Galaxy S5 Android Lollipop update? If you have any questions on Galaxy S5 Android Lollipop update, please let us know in the comment box below. We will try to help you. You are also welcomed to share your thoughts, tips and tricks on Galaxy S5 Android Lollipop update in the comments. 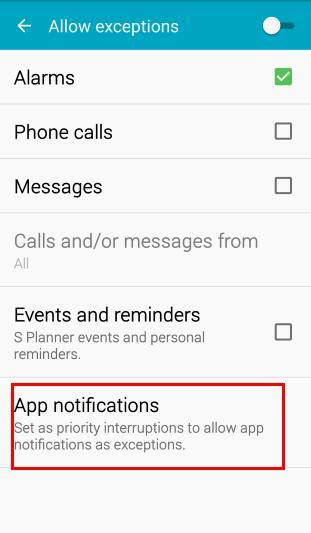 Did you check the S Note app in Galaxy Apps? Hello, the only app in Galaxy apps is S Note viewer. I will try the link you provided. Thank you.